Free Admission at Isabella Stewart Gardner Museum for Neighborhood Nights! The Isabella Stewart Gardner Museum is FREE for Neighborhood Nights on Thursday, July 9th, July 23rd and August 6th, 2015 from 5-8pm this summer! Everyone is invited, especially neighbors from Fenway, Mission Hill, Roxbury, Jamaica Plain, and Dorchester. This is a great chance to check out amazing art at the Isabella Stewart Gardner Museum for free. Don’t forget you can also get into the museum free on your Birthday as well as other discounts to the museum and Boston attractions including free admission for those under 18 and named Isabella! For more information about Neighborhood Nights and more, please head here. *I went to a Neighborhood night at the art museum last summer and it was really easy and fun . It wasn’t too busy and we just had to check-in at the front first and then we made our way to back of the museum first, which was recommended to us. This is a really unique art museum in Boston and I really recommend it if you haven’t been before! 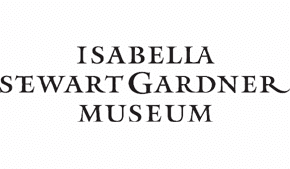 Have you been to the Isabella Stewart Gardner Museum before? Will you be attending Neighborhood Nights?